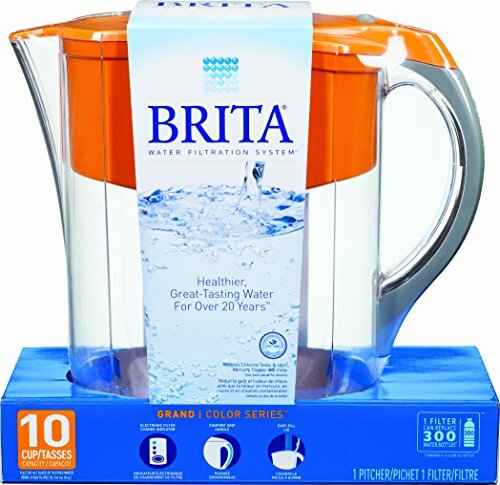 With a large 10-cup capacity, the Brita Grand is perfect for larger households. 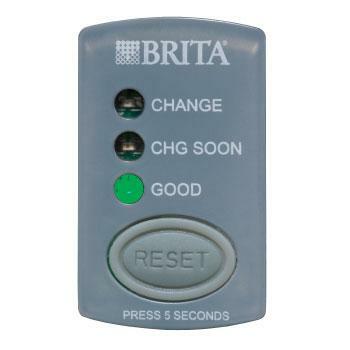 An electronic indicator on the Brita Grand reminds you to change the filter. 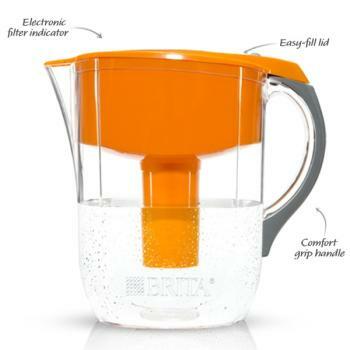 What's in the Box: Brita Grand Water Filter Pitcher, Orange, and one Brita Water Filter. Your water filter pitcher can be ready for use in just a few steps. Wash your hands before touching the water filter, then soak it upright for 15 minutes in cold water. Rinse under running tap water and insert the filter into the reservoir, lining up the groove in the filter with the notch in the reservoir. Add cold tap water. The first three pitchers of filtered water may contain carbon dust and can be used on plants or discarded. The filter indicator reminds you to replace the water filter every 40 gallons or 2 months. REPLACE FILTERS: Change Brita filters every 40 gallons, about 2 months for the average household, for optimal performance.